As a top session musician and programmer using state-of-the-art Fairlight, PPG and classic Roland sequencers and sound modules, Andy Richards helped shape the sound of some of the biggest pop hits of the 1980s. Moving with the times, he now runs a mixing and post-production studio specializing in film and TV score work, alongside film music composer Mike Higham. Every aspiring musician dreams of getting that big break which takes them from relative obscurity to the heights of their profession. For Andy Richards, the right place was Trevor Horn’s ZTT Productions based at Sarm studios, and the right time was 1983. 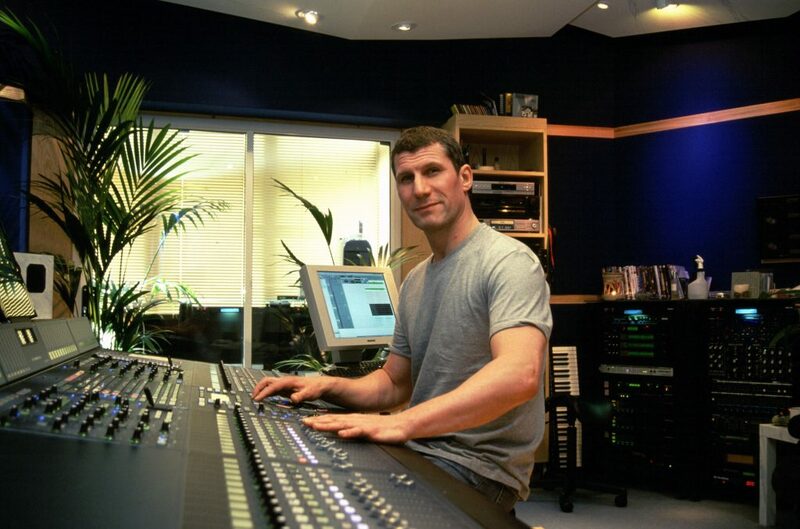 In the years that followed, Andy found session work as a programmer and keyboard player for many of the most successful bands of the era, including Simple Minds, OMD, Tears For Fears, Genesis, The Damned, AC/DC, Def Leppard, and The Pet Shop Boys, and also for leading solo artists such as Annie Lennox, Donna Summer, Cher and Tina Turner. More recently Andy has added All Saints, Boyzone and Ronan Keating to his programming credits, although film and DVD mixing and editing now takes up most of his time. Looking back, Andy recalls the events that launched his career in the pop industry. “When Trevor [Horn] heard about me,” explains Andy, “I was working for ice skater Robin Cousins, doing all the programming for a show called ‘Electric Ice’ which was being staged at the Royal Palace Theatre. The whole stage was iced over and I was up in the gantry using a Roland Micro Composers to sequence music by Vangelis, Mike Oldfield and others. It was very scary because I had to load the sequencer from data cassette, and it all had to be absolutely accurate otherwise the whole show would come to a halt. But it was very good practice! Andy acknowledges that he was fortunate to end up at ZTT, but the breakthrough was the result of many years of hard work as a session musician, and some seriously impressive qualifications. A graduate of both the Royal College of Music and the Royal Academy of Music, Andy trained to be a concert pianist, having previously excelled as a church organ player. Andy received his first piano lesson when he was just six years old, but turned his attention to the organ when he became a student at Rugby School in Warwickshire. “I began studying classical organ on a cathedral-sized, four manual, 80-stop organ,” he explains. “It was a really serious bit of kit. After school I continued having organ lessons, but I soon realised that not having a church organ immediately availabile made it very difficult, so I swapped back to piano and completed my ARCM and LRAM diplomas at the Academy and College of Music. “I was teaching music to students and playing in jazz rock and pub bands in the evenings when I auditioned to be the keyboardist for The Strawbs. All went well, and on my 25th birthday I joined the band. I was playing Rick Wakeman type stuff and because I’d just finished doing my music diplomas my technique was pretty phenomenal, and was up there with Rick’s. When I listen back to that stuff now I’m amazed at what I did. “So I did my first album, The Strawbs Heartbreak Hill, in 1979, and their producer gave me session work on a couple of other albums because he liked my playing. When that fizzled out I carried on doing sessions, mainly in Manchester, but I also got to produce a band called White Door. 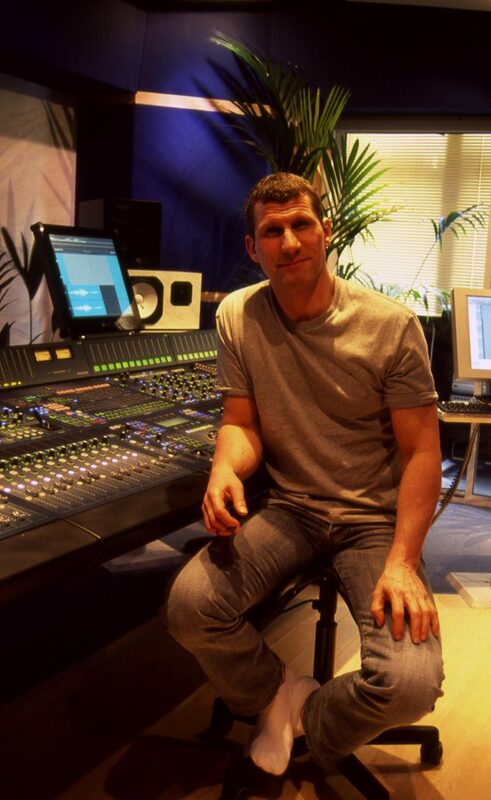 I was allowed three days to mix the album at what was then Sarm East, and I chose Julian Mendelsohn as the engineer. He’d worked with Peter Gabriel and had a great sound. At the time Trevor Horn was looking for keyboard players because Ann Dudley and Gary Langley were moving on, so when Julian spoke to Trevor he suggested me. Andy remembers that Trevor Horn’s team were already involved with the production of ‘Relax’ when he joined them. He was immediately put to work developing keyboard parts and sounds alongside engineer and multi-instrumentalist Steve Lipson, with Trevor directing the proceedings. Although Andy’s undoubted skill as a keyboard player made him a valuable addition to the ZTT production team, his programming expertise, on what was then state-of-the-art equipment, also impressed Trevor Horn. Although ZTT was ultimately in the business of releasing commercial records, everyone working on a project was encouraged to experiment with new technology and ideas at every opportunity. 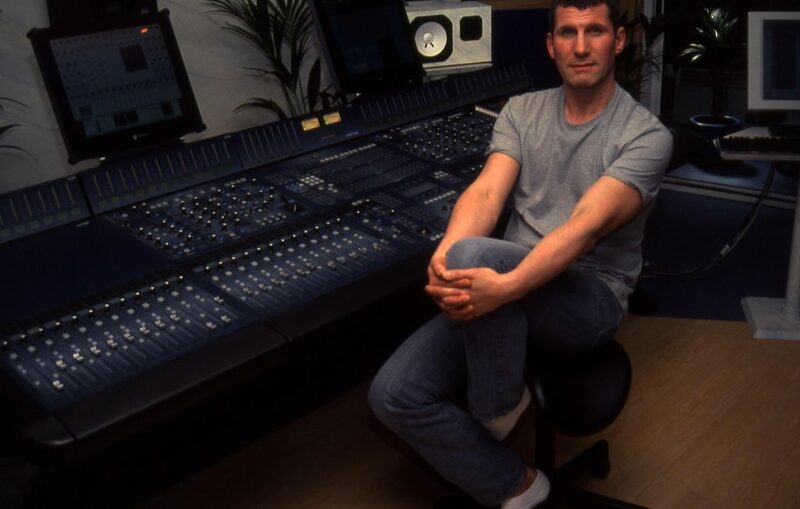 Andy now views the period as being a unique time in British pop production, when money and time were not major concerns for studios like ZTT, and conceptuality and experimentation were considered to be more important. “We had Stephen Lipson engineering and playing guitar, me playing a lot of keyboards, JJ Jeczalik working on the Synclavier, Luis Jardim playing percussion, and Ann Dudley providing the strings. Trevor called us his ‘Theam’. We did more talking and eating than playing and if we got an overdub done in a day we had done well, even though that overdub would often be replaced the next day because something else that had come along. So we were in this little bubble where time almost stood still and the costs seemed to be no issue at all. 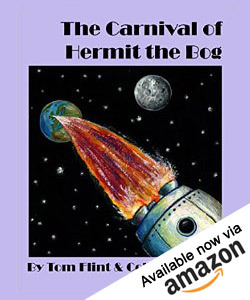 “We also had carte blanche to try virtually anything. We were pushing the technology as hard as we could, and trying to incorporate it into our working method at the same time. For example, in those days you couldn’t just hit play and have everything lock to SMPTE; it was all FSK [Frequency-shift Keying], so when I heard about this new box called an SRC which had been developed by Syco Systems, I said to Trevor ‘I’ve got to get this box and see what it can do’. “You basically put time code into it and it would output time code for the Roland, PPG, Synclavier and Fairlight sequencers, and it also allowed you to specify which bar number you wanted to drop in on. This started to revolutionise the way we worked because, before that, we had to run sequencers from the start. It meant that we could split tracks into sections so we began to be a bit looser in terms of the way we synchronised our equipment. 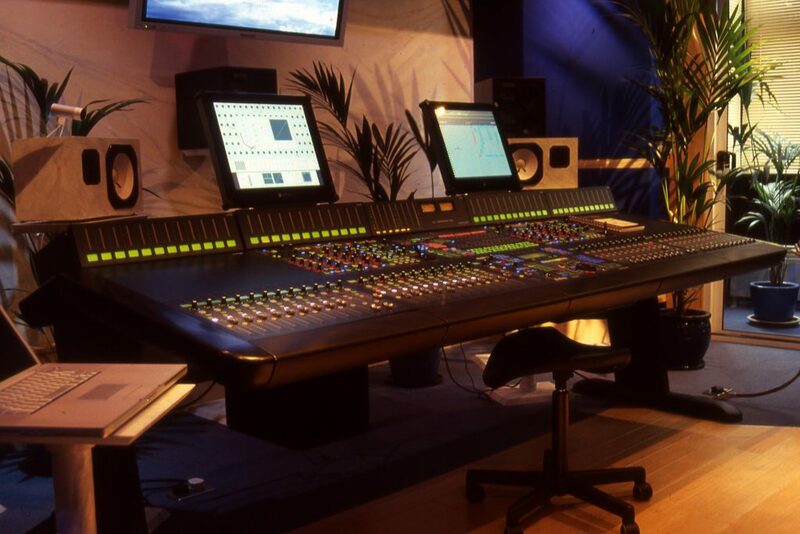 And, as a side line, because I was one of the very few musicians to have an SRC, I got work on sessions just because I could synchronise machines! Nowadays, you run time code and don’t give it a second thought. After it was released at the end of 1983, ‘Relax’ battled its way to number one in the UK chart and stayed there for nine weeks. The song’s hugely theatrical production set a precedent which its eagerly awaited follow up, ‘Two Tribes’, needed to match or surpass. Indeed, the finished ‘Two Tribes’, which eventually went on sale at the end of May 1984, enjoyed an even more lavish production than ‘Relax’, but it took the ZTT team, or ‘Theam’, three months to produce. Andy describes the unbounded ‘Two Tribes’ recording session. “Although other production houses existed, I don’t think anyone else worked in such a unified and focused way, for so long, on just one piece of music as we did at ZTT. We were trying to explore new idea and knowing that ‘Two Tribes’ would probably follow ‘Relax’ to number one in the chart was a very strange feeling. “I laughed and said ‘No he won’t, it’s great!’ But, sure enough, the next day Trevor said ‘It’s not right, we’re going to start again.’ So off we went, and the track wasn’t finished until three months later. “When we were sequencing the bass part of ‘Two Tribes’, we were dealing with all sorts of philosophical issues regarding the role of the bass: was it just another bass part? Was it a lead instrument? Did it power the whole track? Should we bury it and let other instruments take over? We tried to understand what we were doing and what the implications of our work would be both for the music and for the band. The whole process was just as much a philosophical and structural exercise as it was a process of playing. Having seen, first-hand, how Trevor Horn used state-of the-art equipment to craft groundbreaking pop records, Andy knew how important it was for a freelance programmer to master the latest synths. His PPG Waveterm A (later upgraded to a B) was a shrewd buy, but technology never stands still, and so it wasn’t long before a newly-released product tempted Andy into taking one of the biggest gambles of his career. By the late ‘80s, Andy had become a regular programmer for Neil Tennant and Chris Lowe of the Pet Shop Boys, who were big fans of the Fairlight sound. In particular, Andy has fond memories of his work on the band’s highly acclaimed album, Actually. “Julian Mendelsohn was on their production team at that time,” Andy recalls, “and he was keen for me to work with Chris and Neil because they’d already used the Fairlight Series II with JJ Jeczalik and they wanted the Fairlight type sounds again. They weren’t really into the technology – Chris is more of an artist than a keyboard player – so on some tracks all the keyboards would be played and programmed by me and maybe one other guy. “Quite often Chris prepared a simple demo so it was a case of redoing the parts. I would come up with sounds and ask Chris if he liked this or that, and he would say which ones he wanted, or he would suggest things to try. It was just a question of talking and, after a while, almost knowing what they wanted. They were wonderful people to work with because they were very relaxed, very easy going, and had no ego issues; they just wanted to get the job done. “Generally, the sounds were samples triggered from the Fairlight’s sequencer. For example, all those deep heavy things in the song ‘It’s a Sin’ are Fairlight samples, as are all those big sound effects at the beginning of the song. In those days, sounds were much more bespoke than they are now because there weren’t huge libraries to choose from. It was either stuff I’d sampled myself, collected over time, or stuff from the Fairlight library. Sometimes Neil or Chris would want a particular kind of sound and we’d then go out and sample it ourselves using one of the old Sony F1 digital recorders. “I remember working with them on a track called ‘Heart’ which had a big hook at the front. That was a mixture of Neil Tennant’s voice, a sample of Pavarotti and Wendy Smith from Prefab Sprout. The track ended up at number one for three weeks. In those days they could do no wrong! “Generally, the samples were routed through the desk, and then Julian Mendelsohn would EQ, add effects, and do whatever was necessary to knit them together, so they sounded like they had a common purpose. So they were treated just like any audio part and were then saved directly to digital tape. “The Pet Shop Boys and I developed a formula, which was very different from working with Trevor. In many ways The Pet Shop Boys’ music was less complex, so it demanded a slightly different approach. We’d go into a pre-production room for perhaps a day or two, doing the basic stuff, and then we’d head to Sarm and finish the track in a few days. ‘Heart’, for example, took a day-and-a-half in pre production and then just a further three days for all the vocals and mixing. Some tracks like ‘It’s a Sin’ might have taken five days because it’s a very deep and rich track, although it’s hard to remember that far back without looking at the invoices. “It was while I was working at Sarm that I met George Michael who was doing some recording there. He asked me if I wanted to play keyboards on a track he was working on, so I went to what was Advision in the West End and heard this track, which turned out to be ‘Careless Whisper’. I thought to myself, ‘I’m about to play on a massive hit single’. “I had my PPG Waveterm A by then so I took it along to the session, and with it I sampled George’s voice for all the ‘Ahhhh’ backing parts. He’d never been sampled before. So that came as a result of working with Trevor, and the fallout from the ZTT work kept me busy for the next few years to say the least.